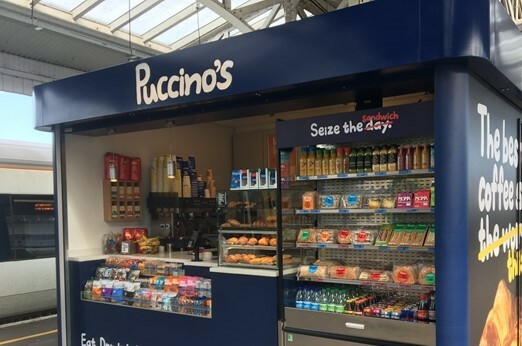 MILAN – Massimo Zanetti Beverage Group announces the opening of a new Puccino’s Coffee Bar at the Railway Station in Eastbourne, a busy seaside town in East Sussex, UK. Puccino’s at Eastbourne has been designed to provide passengers with a quick and efficient service whilst on the go. Eastbourne Station is highly frequented with an average footfall of about 3.6 million passengers per year. The new unit will be operated by Mr and Mrs Joy, franchisee partners already managing Puccino’s coffee Bar at Weybridge Railway Station. “I am delighted to announce the opening of our latest franchised coffee bar, with Franchisees Mark and April Joy. This is their second cafeteria, with further two openings planned shortly” says Tony Brogden, Managing Director of Puccino’s.